Fire Chief Norman Elgan...(back to camera) and Asst. 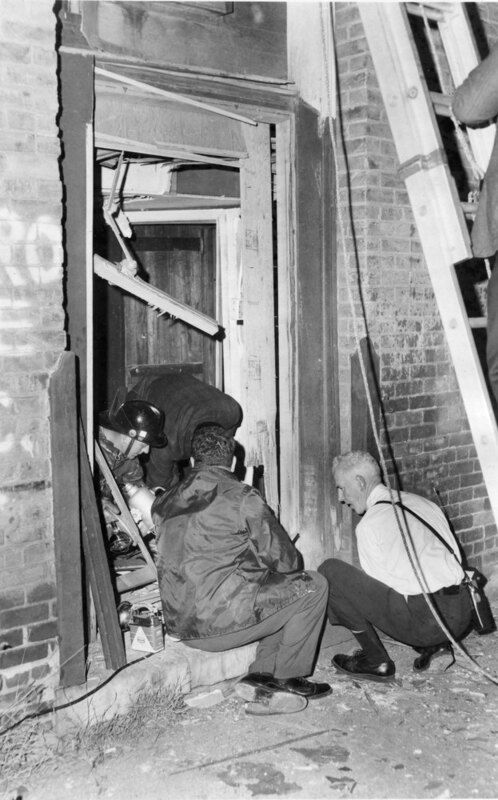 Chief Leo Fleming (right) examine the rear of Some Place Else tavern after it was bombed Monday night. Other picture on page 3. Nonpareil photos, “Check Arrest Rights In Bombing,” Council Bluffs Public Library, accessed April 21, 2019, https://www.councilbluffslibrary.org/archive/items/show/5055.